Breaking down the process for our modular art pieces. 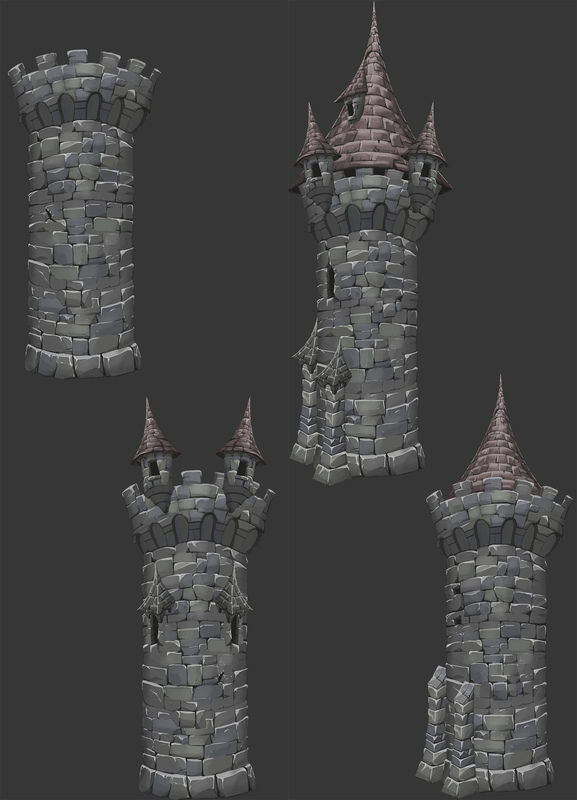 Instead of painting variants of a castle tower, making modular assets can spread the usability of the art and also allow the designer to repurpose pieces later on. 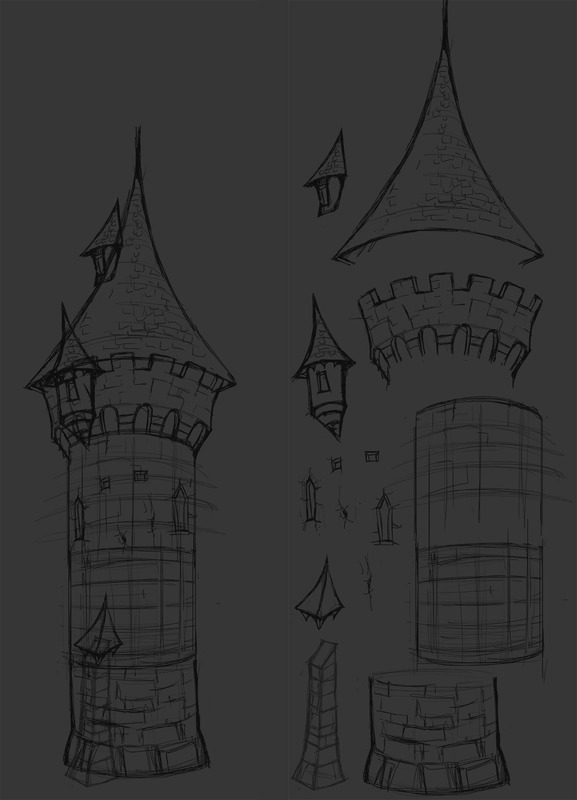 Starting with the sketch process, drawing out the elements and keeping the layers separate layers so that you can move the assets around and tweak them. Making sure everything fits together and is proportional. Then adding some basic colours and further defining the details with highlights. Getting rid of the sketchy lines and adding lighting. Then sharpen the details and add darker shadows. 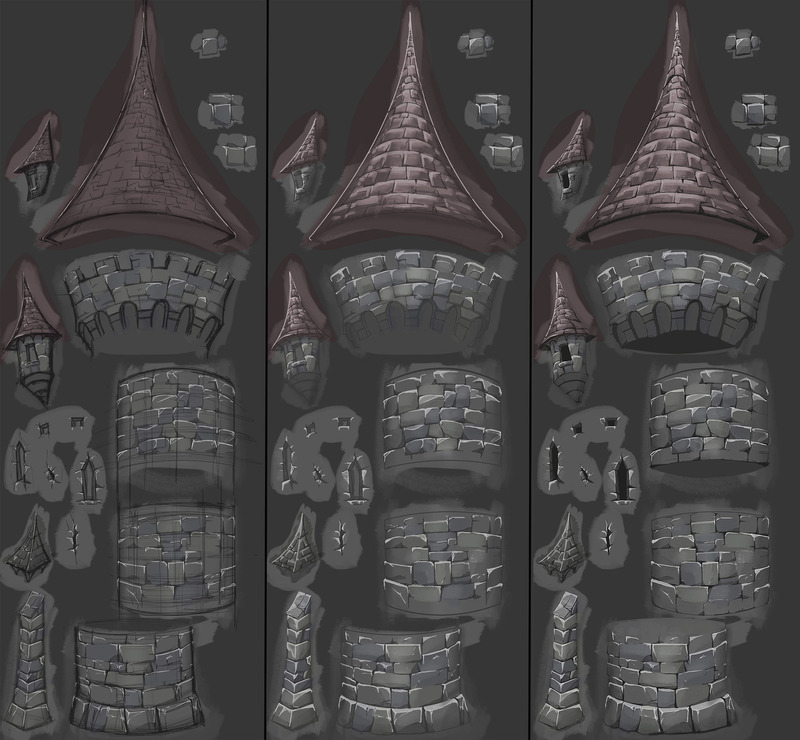 Clean up and separate the assets. Then you have a handful of pieces ready to make towers.